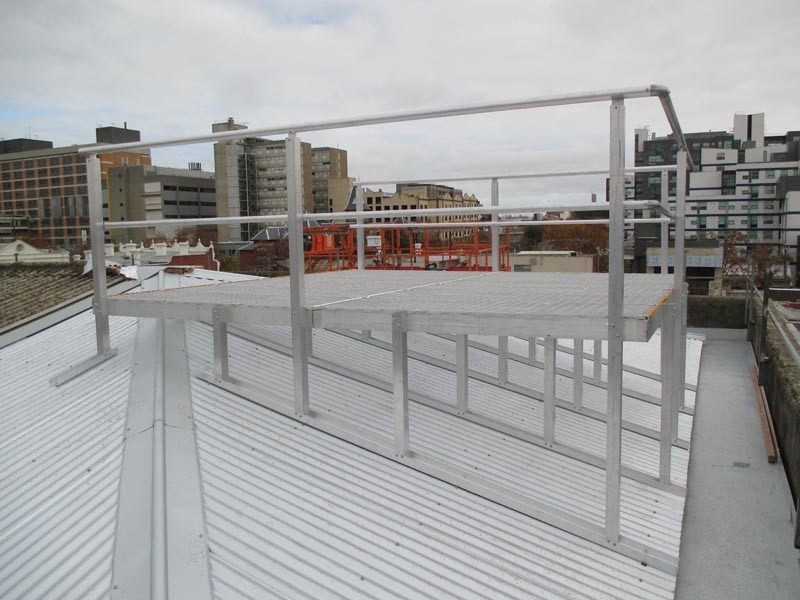 Safety Plus Australia can design, manufacture and install all types of roof access platforms, to suit any application or purpose. 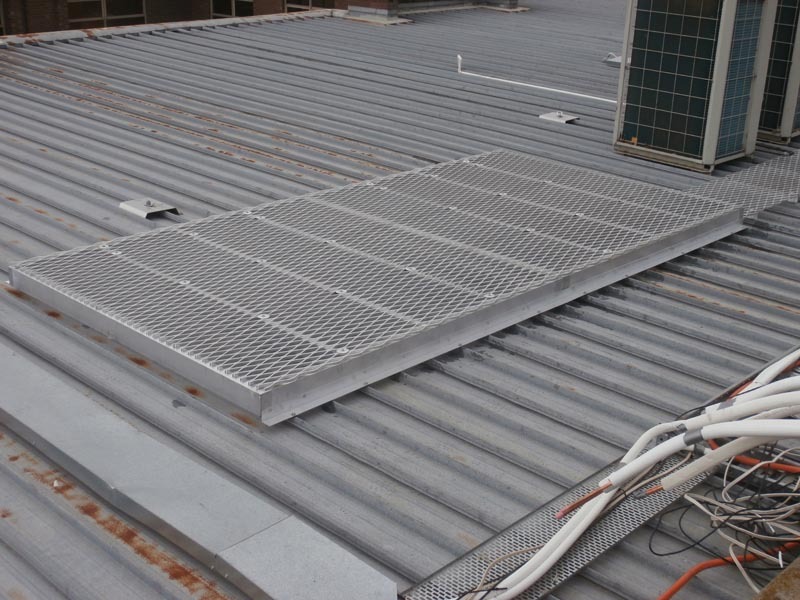 Our roof platforms are manufactured from lightweight and structural aluminium that provides design and installation flexibility to suit our client’s specifications. No platform application is the same, hence all systems are designed to suit individual client needs, then custom built and manufactured to comply with the relevant requirements of AS/NZS 1657:2013 and various statutory codes of practice. 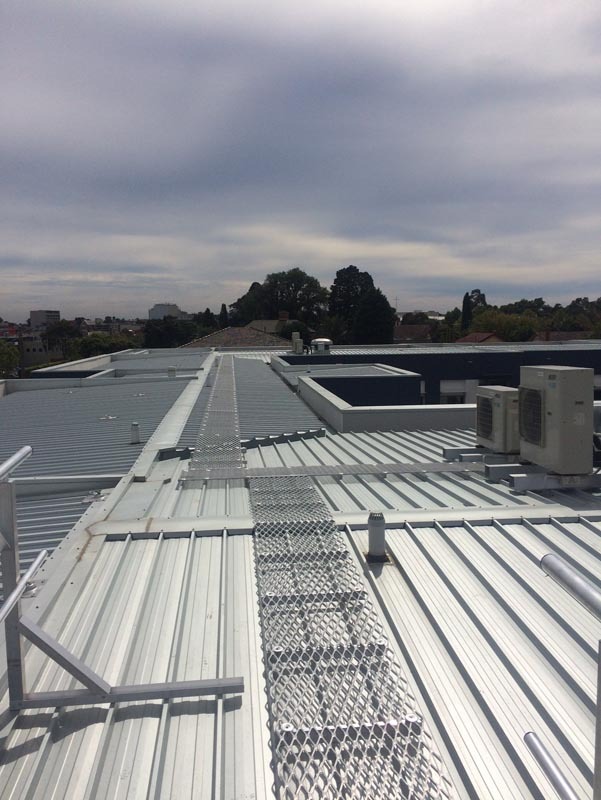 If seeking additional information about our roof platform systems, please contact our expert technical team by emailing us at info@safetyplusaustralia.com.au or calling us on 1300 713 566. All Safety Plus Australia consultants are highly trained and fully experienced in conducting site audits at your workplace. Safety Plus Australia can recommend and supply height safety equipment to suit your application. Relevant Australian Standards and State legislation mandate the periodic inspection of all height safety equipment. Safety Plus Australia delivers the nationally accredited unit RIIWHS204D Work safely at heights course under the Parcor Safety Training and Consulting RTO Code 7076. 14/103 Lewis Road, Knoxfield, Victoria – 3180 Australia. Copyright © 2019 Safety Plus Australia. All Rights Reserved.